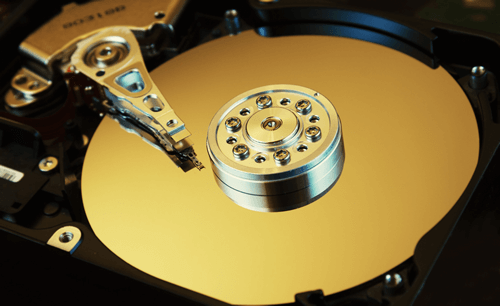 Best partitioning software for Windows Server. Partitioning software is very useful for a Windows server, with which you can do basic and advanced disk partition management such as create, delete, format, hide partition, resize, move, shrink and extend existing volume without reinstalling Windows. However, not every server partition software can complete these task well, especially resizing disk partitions. In this article I’ll introduce the widely used and best partitioning software for Windows Server 2016/2012/2008/2003 (R2). Data safety is most important to a server, so you should pay more attention when using a partitioning software. To resize partitions, this type of software will modify all parameters of related disk, partition and files in File System, so any incorrect parameter will cause system boot failure, partition corruption and data loss. A reader told me a true experience: he always says “it doesn’t matter, I have backup”, so he selected a partition software by simple Google search. When he shrink drive D and extend C, this partitioning software failed with an error, which cause system unbootable and all partitions corrupted. He spent a whole day to restore everything and back the server to original status. This experience told us: always back up the server before any operations and select a safe partitioning software. To resize server partitions, I always recommend NIUBI Partition Editor, because it is integrated unique 1 Second Roll-Back technology. If any software error or hardware issue such as power failure occur during resizing, it can automatically roll back to the status before resizing in ONE second. It is the only program that can ensure 100% data safety. The server won’t be down even if it failed to resize partitions. It is also important to reduce the operation time on a server. Some partition program is very slow, especially when shrinking a volume with large amount of files. To extend the system C drive, all partition program will shrink other volumes such as D. To shrink this volume, the partition software have to move all files in this volume to other locations. If there are running applications, Windows services or opening files/folders in volume D, the re-partitioning operation should be done by rebooting. The longer time to move and resize partition, it means longer server offline. The unique file-moving algorithm of NIUBI Partition Editor helps resize partition 30% to 300% faster than ANY other tools, in some environment, it could be 5 times faster, so it saves much time. If you manage many servers, NPE Enterprise Edition can be installed to unlimited PCs and Servers in your company (regardless of locations) to save time and cost.